Playing games is fun, and people play games competitively throughout the world. With the rise of e-sports, massive pool prizes worth millions of dollars are also becoming the norm. But not everyone is good enough to compete in that level. What about the rest of us? Wouldn’t it be cool if we can, for example play Tetris in your phone and compete for high score with our friends? What about creating our own pool prize and whoever has the highest score, wins that pool prize? That is what PlayGame platform is all about. To put it simply, Playgame.com is a direct-to-play gaming platform where anyone can play for free, compete with friends and win pool prizes. No downloads required. 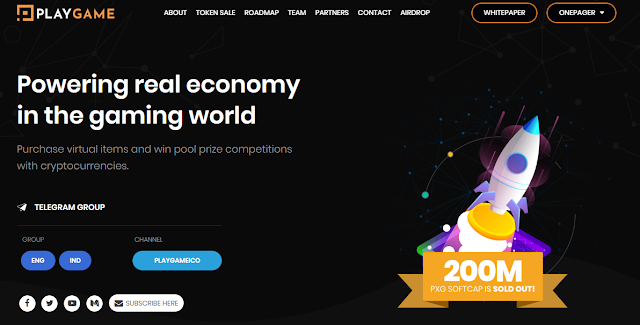 To enable global distribution of the pool prize, we use blockchain technology. Blockchain enables us to provide cross border remmitence for deposit, withdrawal and disbursement of the competition pool prize. We created our own cryptocurrency token called PXG to do just that. Game developers will no longer depend on traditional platforms to publish their games. 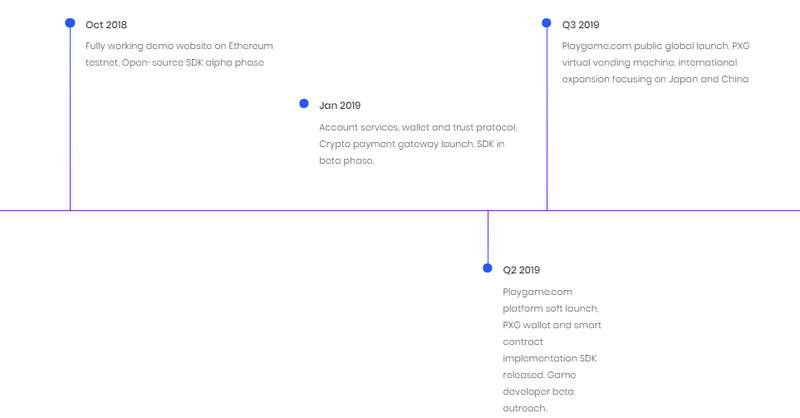 PlayGame.com is the first decentralized Crypto Arcade Playground that uses blockchain technology to offer a simple world-class solution for game developers to fund their amazing projects. They will be able to acquire, retain and monetize their games to crypto-enthusiasts, without having to worry about payment discrepancies. PlayGame.com will be able to combat rampant piracy issues and allow indie developers to compete on the CPI (Cost-Per-Install) war. Indie studios would have the funds to hire good talent to design Free-to-Play games that have long development timelines. These games would be able to compete with big game studios in this space where (paying) conversion rates, ARPU (Average Revenue per User), ARPPU (Average Revenue Per Paying Users) and ARPDAU (Average Revenue Per Daily Active Users) are diminishing from an overcrowded game development scene. PlayGame.com provide game developers with everything they need: technical solutions including smart-contracts, marketing outreach with our easy to remember domain name: PlayGame.com, advisory and management expertise driven by our team of 20 game industry experts. PlayGame.com provide game developers an amazing chance to create games for Cryptoenthusiasts which is an emerging market. Fun games where people pay tokens to play and compete to win more tokens of other cryptocurrencies. This solves the problem of acquiring, monetizing, and retaining users for indie game developers. 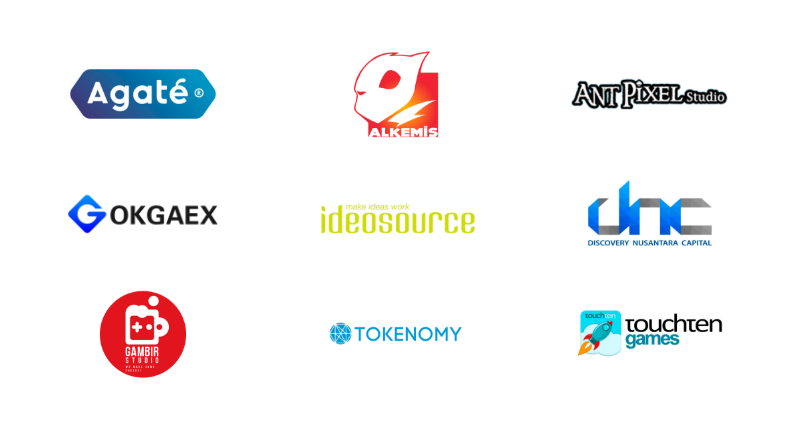 PlayGame.com, together with game projects within its ecosystem form the PlayGame economy, a space powered by PlayCoins that perform a variety of utility roles for Gamers and Game creators. PlayGame.com solves the funding problem that often plagues new developer aiming to turn their ideas into wonderful games. The transparent blockchain decentralized ecosystem backed by the PlayCoins Economy makes it possible for game projects/idea creators to receive proper funding and gives assurance for backers when they back projects that they see potential in. Our mission is to help gamers, game developers, entrepreneurs, investors, advertisers, and other future-thinking crypto enthusiastic people convert their game ideas into fully-functional games that can be enjoyed by millions of people regardless of their location, origin, game devices or socioeconomic status. We have a roadmap and a working product and will be up and running by October 2018. We bring the 30 combined years of technology, ecommerce and game development. Our CEO, lead Touchten to make more than 50 games with over 50 million downloads, many reaching top charts in the app stores. He created PlayGame as an answer to the frustration and struggles from 9 years of running Touchen. 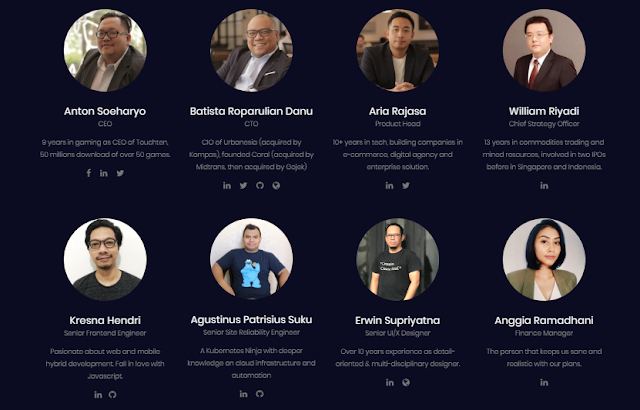 Our CTO Batista Harahap lead Urbanesia, the biggest business directory in Indonesia until it got acquired by Kompas Group. Then started e-commerce enabler company Coral which later acquired by Midtrans and later on acquired by Gojek Indonesia. 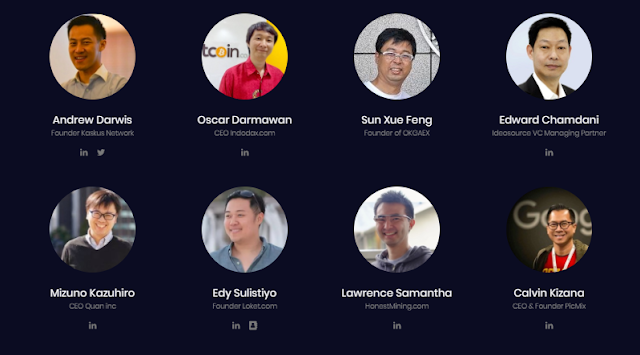 I myself is the Product Head of PlayGame, having experience in building startups in e-commerce and corporate software for 10+ years and is now very passionate about the blockchain technology and cryptocurrency. PlayGame has a softcap at 150 million tokens and hardcaps at 600 million tokens. Softcap is a minimum number of sales of tokens so the project can run. 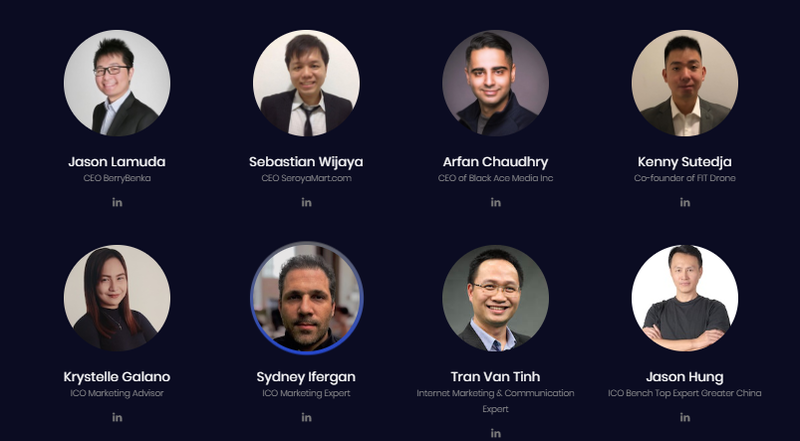 Minimum purchase for token sales is 100 ETH (around 700 million rupiah) on private sale, 10 ETH (around 70 million rupiah) on pre sale, and 2 ETH (around 14 million rupiah) on crowd sale). It is quite interesting because the minimum number is quite high in the crowd sale phase because ICO usually only has a minimum of 0.1 ETH in that phase. Propera Capital gives an 8/10 rating and with recommended status for longterm (long term) with consideration it is not easy to influence various gamers and game developers to move from the existing system to blockchain technology. An adaptation process that takes time but with a pretty brilliant idea.